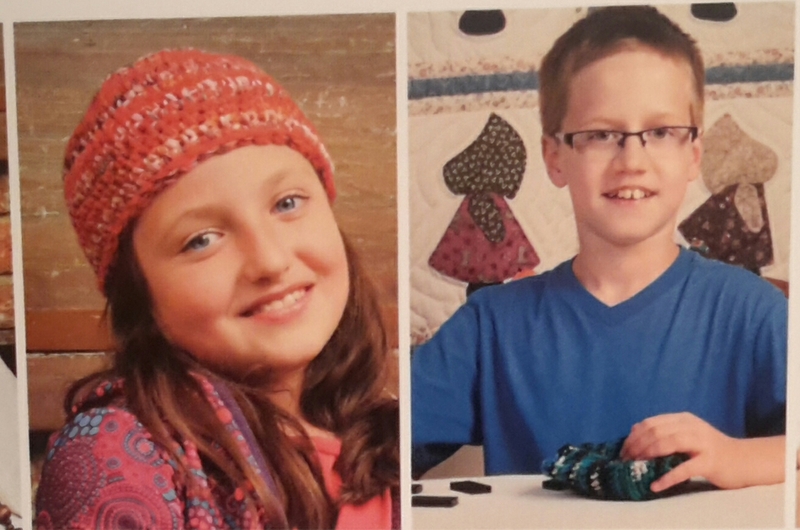 A group of local children recently participated in the production of the internationally published book, The Creative Kids Complete Photo Guide to Crochet. 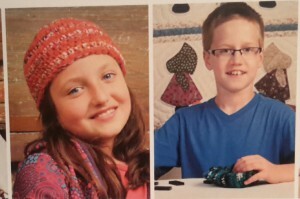 Working with local author and fiber arts teacher/designer, Deb Burger, and local photographer, Peter Montanti, the five youngsters spent several months learning to crochet, testing project patterns, and posing for close-up photos that enrich the text of the book. The publisher, Creative Publishing International, released the book in July, and it is now available in retail and online book outlets all over the world. The public is invited to a book launch reception from 2 – 3:30 p.m. on Sunday afternoon, September 20, at the Oak Hill School on Sabin Drive in Jonesborough. The children: Aisling Hagan, Olivia D”Avella, Rhett Carver, Ashton D”Avella, and Sophia Flanagan, will be available to sign copies of the book, and to talk about their experiences in learning a traditional skill and working with a professional photographer. Most of the book”s 250 photographs were shot in the Duncan House and on the grounds of the Oak Hill School, through the generosity and commitment to cultural preservation of the Heritage Alliance of Northeast Tennessee and Southwest Virginia, who own and maintain online casino the historic buildings. Author and Jonesborough resident Deb Burger will also be present and happy to sign books, copies of which will be available for purchase at the event. Light refreshments will be served, and sample projects featured in the book will be on display. There is no charge to attend, and a portion from books sold at the event will be donated to further the work of the Heritage Alliance. To view the official poster for the event, click here. The Heritage Alliance of Northeast Tennessee and Southwest Virginia is dedicated to the preservation of the architectural, historical, and cultural heritage of our region and to providing educational experiences related to history and heritage for a wide range of audiences. For more information, please call our office at 423.753.9580, or contact the organization via email at info@heritageall.org.